Each year we cordon off the block outside our office to kick off summer and celebrate all the best things this city has to offer. We invite everyone featured in our Best of Portland issue, along with our closest friends and favorite readers. This is a great opportunity to get your brand in front of an engaged audience and connect deeply with our city. Below are some options for how to participate, but it doesn’t stop there. We’re happy to work with you on a custom activation or concept we can bring to life to drive real engagement with attendees, and amplify that engagement across social channels. Hanging on the Best of Portland beach. 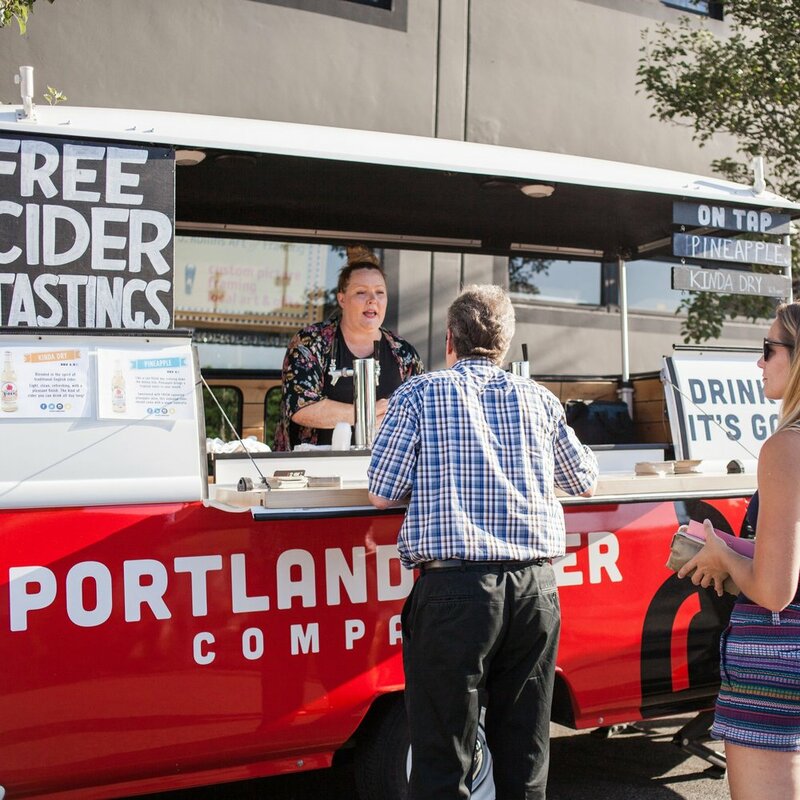 Free cider tastings by Portland Cider Company. Mayor Ted Wheeler in the Dunk Tank. *We offer a 30% discount on print advertising in our Best of Portland issue, out on 7/11 to all booth sponsors. Ask your Account Executive.